A perfect, exhilarating blend of fantasy, dystopia and science fiction, The Bone Season is one of the must-read books of 2013. There's no other way to say it - this is as close to a perfect book as I've ever read.The voice of the narrative is the first thing that really impressed me - I knew I'd love this book from Paige's very first words. Her voice is the perfect mixture of sarcasm and fear, loneliness and defiance. The author does an amazing job of fully immersing us in her thoughts, feelings and memories. Few reading experiences are ever as vivid as this, and I think it's even harder for an author to pull it off in first person because of the narrowing, blinkering effect this gaze is susceptible to.I love that Paige never tries to be super-awesome-strong woman with absolutely no faults or fears or vulnerabilities. She has lots of those, and they come to light throughout the novel, but what makes her special, what made me absolutely love her as a protagonist, is that she has so much growth throughout the book. She learns to live with past mistakes, learns to protect herself and those around her, slowly starts to trust the strangers around her. It's not like everything goes to plan, and it's not like she never has any difficulty with these things - in fact, her struggles and tribulations make her a refreshingly complex heroine, one I really connected to on more levels than the superficial (her clumsiness or unhappiness with her hair etc).Surrounding her are colourful, delightful characters such as Jaxon the mime-lord (a volatile crime-boss if there ever was one), the kind and thoughtful Lissa, and of course, the mysterious Warden. I loved them all, they're painted really well and I feel that I got to know them very well throughout the book. There are still hidden depths to many of the people surrounding Paige, but that's only to be expected because the book is part of a series.The world-building in The Bone Season absolutely blew me away. It's nuanced and well-researched and delivered beautifully. The oppressive society of Scion, its rules and regulations, the downtrodden clairvoyants, the mysterious city of Oxford, are all brought to life vividly by the author, and I was engrossed in the details every time I cracked the book open. Shannon has spent a lot of time orienting readers into her world, which some may find wearying because of the new clairvoyant-related terms and the alternate history, but I quite liked the way the way Paige introduced us to Scion in 2059 England.The narrative is also impeccably plotted - I noted no obvious holes or inconsistencies, and the author always managed to surprise me. Every time I got a little too comfortable with the story, or thought I'd figured a character or plot-element out, the author was quick to remind me how little I knew, and how ill-equipped I was to foresee anything! I loved the spontaneity and sheer unpredictability of it all.I'm frequently frustrated while reading if a protagonist can't see connections between people and events that seem obvious to me, and a lot of this is because the author goes to great lengths to point threads out to readers, but has the protagonist flail in the dark. Shannon steers well clear of this device, and doesn't assume her readers are unobservant - in fact, she goes to great lengths to hide those same threads from readers (essential because the book is on first-person), resulting in readers being as shocked, confused or mind-blown as the protagonist. 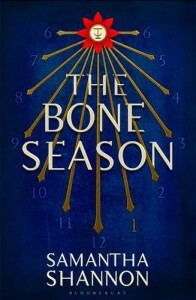 I've seriously missed reading books written at this calibre, and loved every moment of not knowing.I love, love, love this book, and the best part is that The Bone Season is the first instalment in a seven part epic - you read that right, there are six more amazing, incredible books to be published! 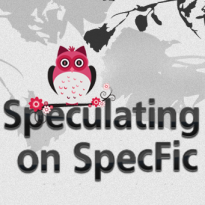 This is an absolutely solid beginning to what is undoubtedly going to be a highly acclaimed series.A copy of this book was provided by the publisher for review.You can read more of my reviews at Speculating on SpecFic.